When our little vampires are finished combing the neighborhoods for candy, brushing their fangs and getting tucked in bed for the evening, adult goblins will be hitting the streets and heading out for a night of fun and adventure. Adults may be too old to trick-or-treat, but that never means someone is too old to celebrate Halloween. Since many adults enjoy putting on a costume and heading out to Halloween parties and other Halloween events, it’s no surprise that drunk-driving accidents in Boston and elsewhere are such a scare on the 31st of October every year. According to National Highway and Traffic Safety Administration, there were nearly 70 people killed because of Halloween-related drunk-driving car accidents in Massachusetts and elsewhere because of drunk drivers. All of these fatal accidents occurred from Oct. 30 to Nov. 1. This is a steep increase from the average number of deaths on many other nights. It has been estimated that nearly 50 percent of all car accidents that happen during this holiday period are alcohol-related. For this reason, Halloween continues to be one of the deadliest nights of the year on our roadways. There’s no costume that can hide an alcohol-impaired driver who gets behind the wheel of a motor vehicle. “We support enforcement efforts 100 percent in helping protect our children and our roadways this Halloween,” said Laura Dean-Mooney, national president of Mothers Against Drunk Driving. -If you’re going out and know you’ll be drinking, it is critical for you to make sure you designate a sober driver to get you home safely. This driver needs to pledge to remain completely sober. A designated driver doesn’t mean the person who is the least drunk. -If you’re planning on throwing a Halloween party, make sure your guests know if you will be serving alcohol so that they can arrange a safe and sober ride home. -Make sure that no one under the age of 21 is being served alcohol. -If you’re impaired and don’t have a designated driver, consider calling a cab, calling a family member, using public transportation, staying at a friend’s house or getting a hotel room for the night. -If you spot a driver who you think may be intoxicated on our roadways, call local law enforcement. Your call can help to save a life. -If you see someone who is about to drive after drinking, consider taking their keys and helping them to find a safer way home. -Offer non-alcoholic beverages if you’re hosting a party. 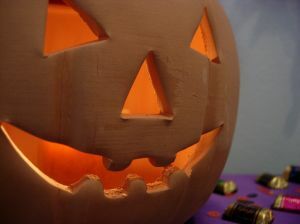 Halloween is a fun and exciting time for both kids and adults. We’re never too old to throw on a costume and celebrate the festivities. Our Boston car accident attorneys ask that you enjoy your Halloween, but to do so safely and responsibly. Happy Halloween! If you or someone you love has been involved in a car accident with a drunk driver in Massachusetts this Halloween, contact the drunk-driving accident lawyers at The Law Offices of Jeffrey S. Glassman for a free and confidential consultation to discuss your rights. Call 877-617-5333.